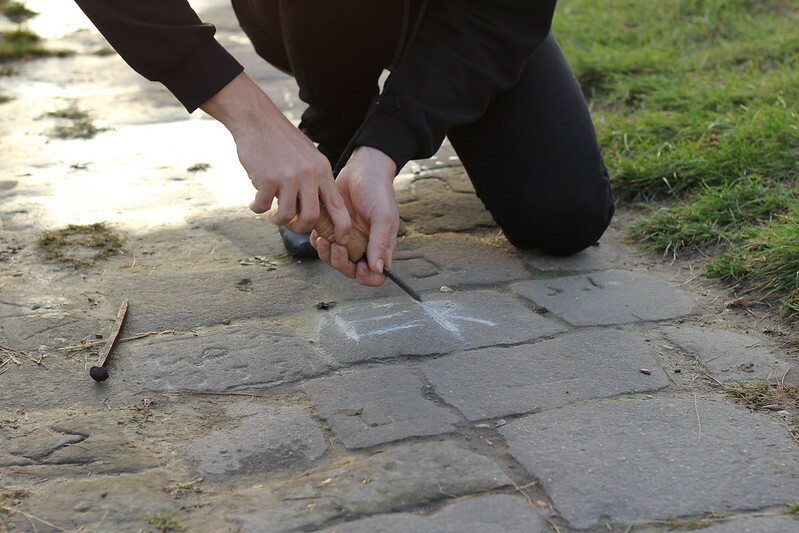 Erbe is a complex graffiti intervention creating a link between antique writing and name writing. 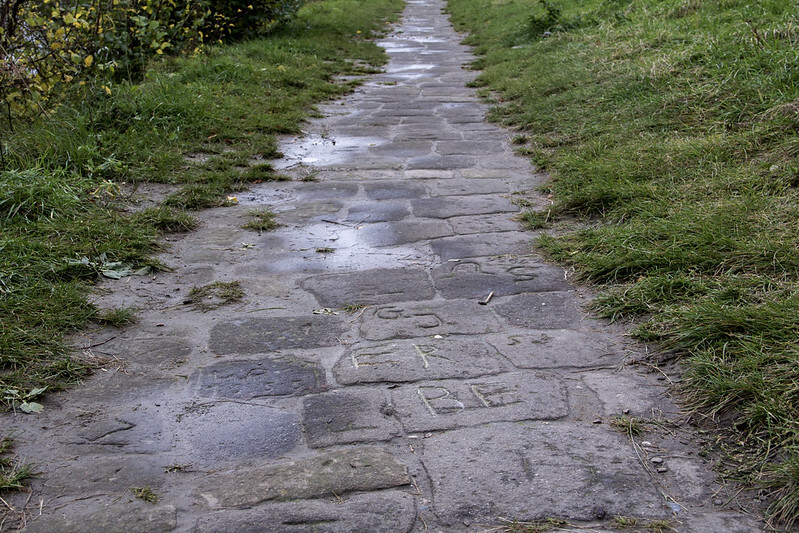 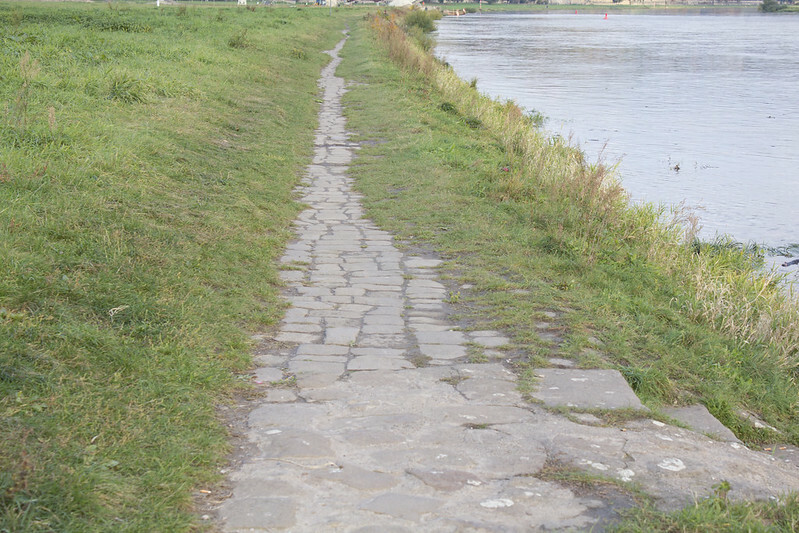 First, “ERBE” a four letter word – meaning in German “heritage” or “legacy” – is carved with rusty nails, chisel and hammer on a ancient pavement path, parallel to the Elberadweg along Elbe river bank. 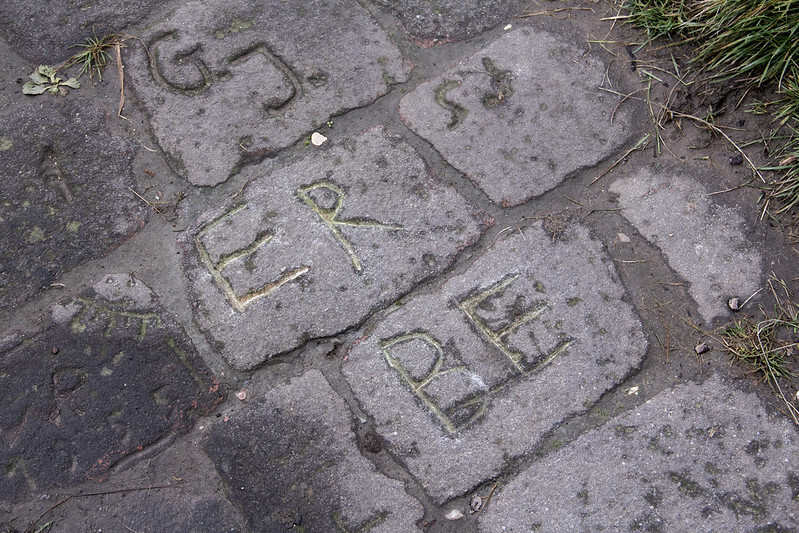 Then, the engraved graffiti is transferred on a sheet of paper by frottage technique. 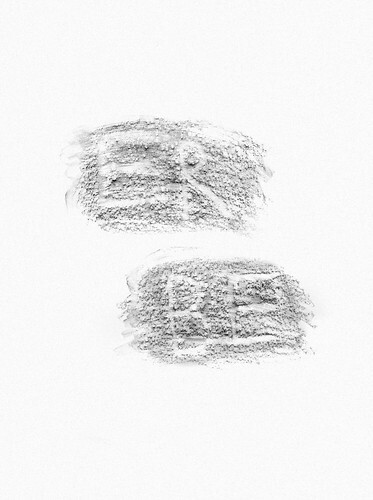 The obtained letters are cutted with a kraft knife in order the imprint becomes a stencil. 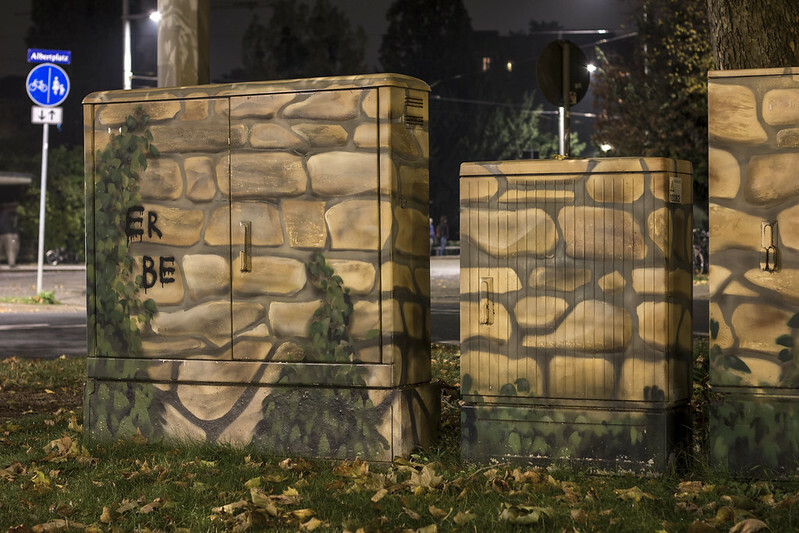 Finally, the graffiti is spray painted in black at the junction of Antonstraße and Albertplatz in the city center over a electric meter decorated with a fake wall with stone reminding the one from the ancient pavement path in a trompe-l’œil style which might have been spray painted by local writers. 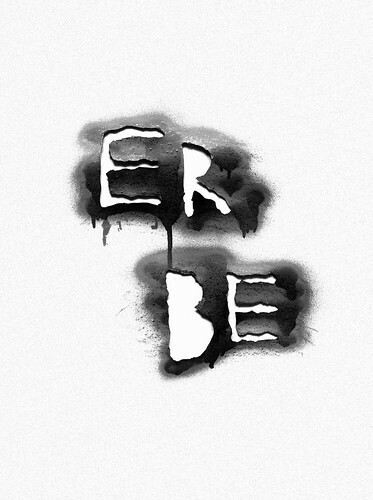 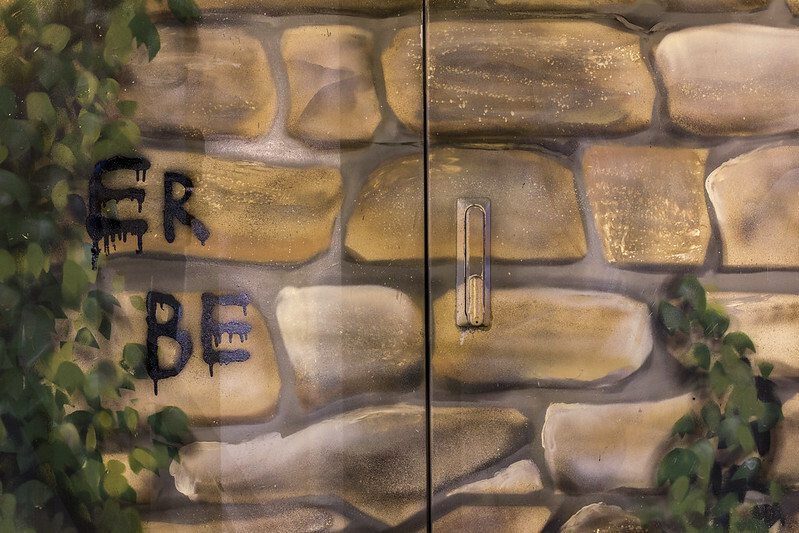 Erbe action is a kind of reenactment of the evolution of graffiti writing through ages; from the anthropologic gesture – the word could be read as two pairs of initials – to the contemporary one – the word could be used as a nickname.